Chanakya’s Arthashastra had plenty to say about why — and how — a king must spy on his own people. It even had a bit about using pretty women as spies, something that’s now known as ‘honey trapping’ or ‘sexpionage’. Emperor Chandragupta Maurya, whose guru was Chanakya, commissioned spies to find out what people thought of him and whether any traitors were hatching plots to dethrone or assassinate him. He even had spies to spy on his spies to find if they were doing an honest job. The elaborate cloak-and-dagger activity that the good king unleashed was not to subjugate his citizens but was used as a tool of governance. If there were telephones and computers 2,300 years ago, Chandragupta would have tapped and hacked them. But there were telephones when Indira Gandhi was India’s prime minister. So she got them tapped. When Congress split in 1969, leaders of Congress (O) accused Indira of tapping their phones. In his book ‘Open Secrets: India’s Intelligence Unveiled’, former Joint Director of Intelligence Bureau MK Dhar said Indira was the first prime minister who tapped phones of political enemies. By the time the Congress-led UPA-I government of Manmohan Singh had arrived in 2004, there were computers too in all spheres of activity, and surveillance had extended from phones to emails and escalated to ‘dataveilance’. 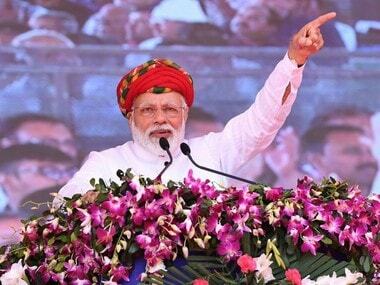 After the UPA government made political spying an integral part of its so-called governance during its two terms, came Narendra Modi, who only continued what rulers from Chandragupta Maurya to Manmohan Singh did. 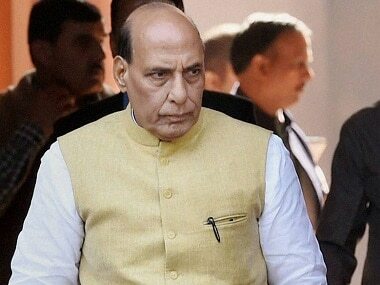 And yet, the 20 December notification of the Modi government’s Ministry of Home Affairs, authorising 10 central agencies to “intercept, monitor and decrypt any information generated, transmitted, received or stored in any computer” kicked up a furore. 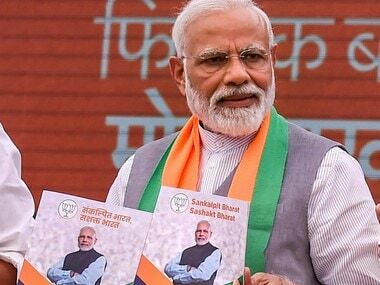 The Modi government’s defence that the notification was issued under rules framed by the previous UPA government has not convinced everybody that everything is above board. Critics continue to accuse the NDA government of trying to turn India into a “spy state”. The notification and the fracas that ensued, however, refer only to the electronic surveillance that comes under the Information Technology Act 2000, as amended in 2008 by the UPA government. But in all the din and dust over electronic snooping, raised frequently by both concerned citizens and those who make Modi-baiting a full-time profession, one thing gets lost: telephone tapping, an older evil whose misuse is more rampant than many imagine. What also loses focus is the stark fact that abuse of this power by governments has always largely meant targeting of politicians, though phones of businessmen, journalists and bureaucrats too have been tapped in the past. It’s the telephone that’s clearly used more than email as a tool of communication among politicians, and it’s also the phone conversation that’s easier to listen in to than a computer to break into. Even random examples from the past show how widespread the politically motivated telephone tapping has been in India. If Indira was the mother of telephone tapping, as established by revelations by Dhar and others, her son Rajiv Gandhi proved a worthy successor at least on this score. Rajiv tapped Zail Singh’s phone? Zail Singh alleged that when he was the President of India, the Rajiv Gandhi government not only tapped the phone in his bedroom but also bugged the entire Rashtrapati Bhavan. Dhar’s book confirmed this. But soon afterwards, Rajiv fashioned himself as a champion of civil liberties. That was when Ramakrishna Hegde had to resign in 1988 as the Janata Dal Chief Minister of Karnataka, after he was caught tapping the telephones of both his friends and foes in politics, media and business. After claiming to be an epitome of “value-based” politics, Hegde brought an ignominious end to his career. He, in fact, invited trouble for himself by leaking to the media a tapped and taped conversation between his own party leaders Deve Gowda and Ajit Singh. There was more debate on how the conversation came to be taped than on what Singh and Gowda spoke about. 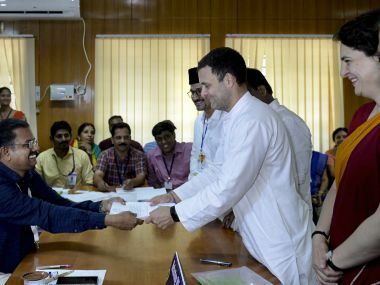 Hegde’s action was doubly foolish because the communications department is run by the Union government, and Rajiv grabbed the chance to fix Hegde, who was turning out to be a star of the Opposition. An investigation by the Intelligence Bureau that Rajiv ordered didn’t take long to dig up evidence and establish that Hegde was indeed guilty of gross misuse of power. But two years later, another investigation fixed Rajiv. In 1990, just before he became the prime minister, Chandra Shekhar accused VP Singh’s National Front government of tapping the telephones of 27 politicians, including his own. A CBI inquiry that Singh ordered said Shekhar’s three phones were not bugged. But it revealed astonishing details of how the previous Indira and Rajiv Gandhi governments had tapped the telephones of their own party’s cabinet ministers and others. And by 2006, when Samajwadi Party leader Amar Singh said that Delhi police were tapping his phones at the bidding of Congress leaders, nobody was surprised. By 1990s, it had become clear that practically any central or state government agency could tap anybody’s phone, either unofficially or officially with the ruse of investigating a crime, supposed or real. That was the time when many of us in the media began to avoid using the phone to speak to sources of sensitive information. Some of us took quick lessons from friendly intelligence officials on how to find out if somebody was listening in to our conversations. One early trick was almost as old as the telephone itself, which you could see James Bond use in a couple of films. Hang on to the receiver after the conversation ends, and listen for any suspicious sounds by a third party on the line. At the same time, more and more politicians and other news sources were refusing to make off-the-record remarks to reporters on phone, always insisting on face-to-face meetings. The fear of being tapped was — and still is — so high that the reluctance to use phone even extended to innocuous and routine conversations. It was only natural that it was the underworld which had been the first to shun the phone and switch to safer alternatives. Over time, telephones have proliferated. And so have snooping techniques. Long gone were the days, when long, parallel telephone lines had to be physically set up for tapping. Technology came at the cost of privacy. The willing cooperation of the sundry private operators of the ubiquitous mobile phones that came later made easier the job of eavesdropping. If listening in to the conversation isn’t necessary, the call record pertaining to a number is just there for the asking, available without even the mandatory home ministry’s permission. This is not to underestimate the scope for misusing the power to break into computer systems. The point to ponder is that a much simpler telephone tapping is more rampant than we imagine, but that’s what gets less attention in debates on privacy violations in the age of internet. 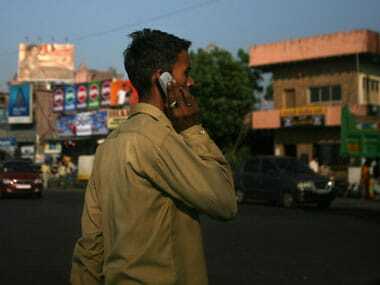 The number of phones being legally tapped at any point runs into thousands across India, and if you include the illegal tapping done without official sanction, it runs into lakhs, according to officials who are in the know of it. All this goes to show that snooping is easy, but putting in place a mechanism to check its misuse isn’t. That isn’t surprising because no party wants to give up the chance to bug rivals when in power. To begin with, the grounds on which a citizen can be subjected to surveillance are vague, while the accountability of officials prying into phones and computers is nearly absent. It hasn’t helped matters that both in the case of telephone tapping, done under Indian Telegraph Act 1885, and intercepting computer data under Information Technology Act 2000, the powers to both approve and review acts of surveillance rest with bureaucrats. One problem is the multiplicity of laws and investigating organisations involved in the whole business. Besides, the fact that law and order is a state subject brings into the scene a variety of governments with varying levels of honesty or the lack of it. It might be a good idea to launch a comprehensive debate involving all stakeholders including mobile and internet service providers before coming up with national policy guidelines on the whole issue to put some method into this madness.